The Sanusi are one of the most unique groups of Bedouin. They have been influenced by both the traditional nomadic lifestyle of the Bedouin and the religious teachings of a prophet known as Sayyid Muhammad ibn' Ali as-Sanusi. This particular Muslim influence has made them one of the more gentle of the Bedouin tribes. The traditional homeland of the Bedouin is the Arabian Desert; however, some groups have migrated into northern Africa. Today, many Sanusi Bedouin live north of the Sahara Desert in eastern Libya. It is a fertile area that runs into the Mediterranean Sea. The Bedouin fall into two basic social classes. One class is known as the true Bedouin, and they live as nomadic shepherds. The other group has embraced farming and is known as the fellahin. Due to the fact that the Sanusi usually settle in villages, most of them are of the fellahin type. They speak Badawi (Bedouin Arabic). Despite being more settled than the nomadic bedouin, Sanusi Bedouin still have a relatively harsh existence. Those who herd goats and sheep stay close to the desert's edge, and the harsh environment makes farming a difficult task with a poor yield. As in most Bedouin societies, the women do most of the work, while the men tend to socialize and make plans for the group. The material culture of the Bedouin is limited. Their tents are their main possessions, and animals have become very important for their nomadic lifestyle. Camels are their main means of transportation, while sheep and goats are bought and sold. Dairy products are the main food source for the Bedouin. Milk from camels and goats is made into yogurt and a type of butter known as ghee. Most of their meals consist of a bowl of milk, yogurt, or rice covered with ghee. Round loaves of unleavened bread are served when available. Dates, which can be found in desert oases, are eaten for dessert. Meat is only served on special occasions such as marriage feasts, ceremonial events, or when guests are present. 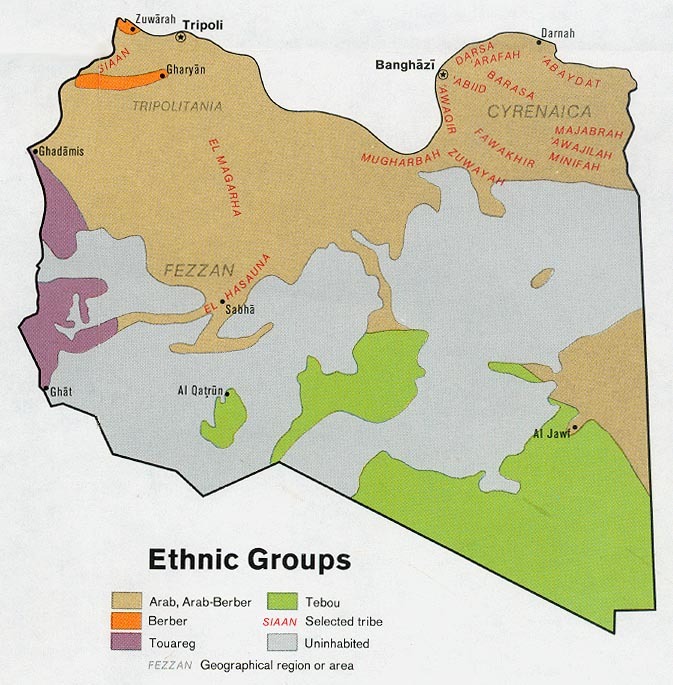 Almost all of the Bedouin in Libya are Sunni Muslims of the Malikite school. Islam is based on the teachings of the prophet, Mohammed. The Koran (holy book of Islam) was supposedly given to Mohammed by the angel Gabriel. Islam is a religion of works that is centered on five basic teachings or "pillars." Evangelization efforts among them are challenging due to the harsh and unsettled nature of their lifestyle. * Scripture Prayers for the Bedouin, Sanusi in Libya. * Pray that God will raise up faithful intercessors who will stand in the gap for the Sanusi Bedouin. * Ask God to strengthen, encourage, and protect the few known Sanusi Bedouin believers living in Libya. * Ask the Holy Spirit to open the hearts of the Sanusi Bedouin towards Christians so that they will be receptive to the Gospel. * Ask the Lord to raise up strong local churches among the Sanusi Bedouin.